Every day, 1000’s of parents full of anticipation and joy at the arrival of their new baby wake up to visit their obstetrician or to go to the delivery room, anxiously awaiting their first glimpse of their little one. Every day, 100’s of these parents leave those doctor appointments, ultrasounds and delivery rooms not with smiles and eager to share their news and photos with family and friends but with a new vocabulary… Congenital Diaphragmatic Hernia. 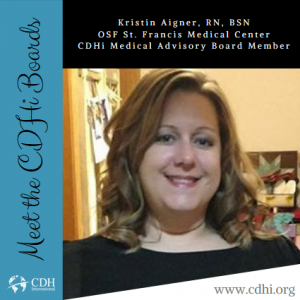 Congenital Diaphragmatic Hernia (CDH) is a devastating birth defect that occurs when the diaphragm fails to fully form, allowing abdominal organs to enter the chest cavity and preventing lung growth. 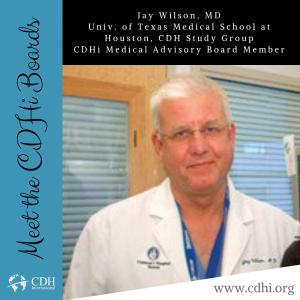 Treatment of CDH involves surgical repair, long hospitalizations, ventilation and sometimes heart and lung bypass machines, complications and long-term medical issues. 50% of these children do not survive. 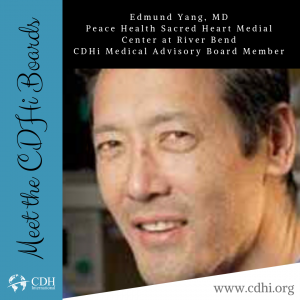 CDH strikes 1 in every 2500 babies, equaling 1600 babies every year in the United States alone. 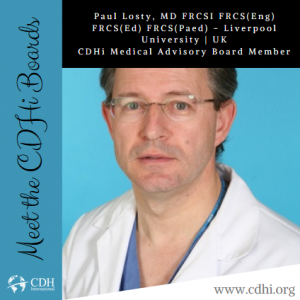 Globally, over 300,000 children have been affected by Congenital Diaphragmatic Hernia since 2000. Over half of those children did not survive. In undeveloped countries, the survival rate is as low as 1%. It is as common as Spina Bifida and Cystic Fibrosis, but without the awareness and funding. The cause is unknown. 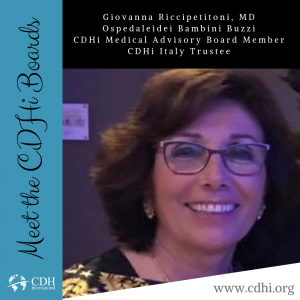 CDH International is dedicated to finding the cause, prevention, and best treatments for Congenital Diaphragmatic Hernia while also supporting affected patients and families – as we have for 24 years. 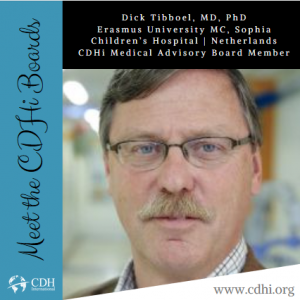 With a 6% overhead, fully and publicly transparent, award winning and dedicated to fight CDH in the name of all patients, in all countries, at all hospitals and with all researchers… CDH International puts the children first. Our goal is to save, and improve the quality, of the lives of these patients from birth through adulthood. With an average annual budget of just $250,000, we have moved mountains and continue to do so. But now, it’s time to grow and give these patients a much bigger voice and push research much farther, much faster. 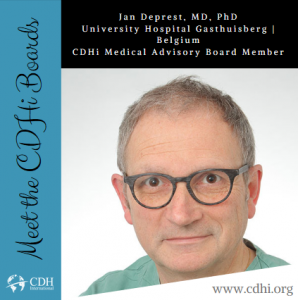 This year, CDH International is working with researchers in several countries, mobilizing with the World Health Organization, supporting the work of the Global Initiative for Children’s Surgery and as we have done for 24 years – we are avid cheerleaders and supporters of the work of the CDH Study Group and all pediatric surgery associations worldwide. 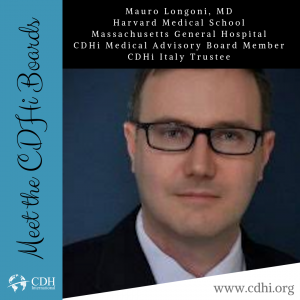 We are continuing our work with the genetic labs at DHREAMS / Columbia University, Mass General and the University of Utah and as always, we collaborate with and support these genetic teams to find the cause of Congenital Diaphragmatic Hernia – which we believe is less than 3 years away. We are ahead of the game and already building collaborations with pharmaceutical companies to push gene therapy when the time comes. 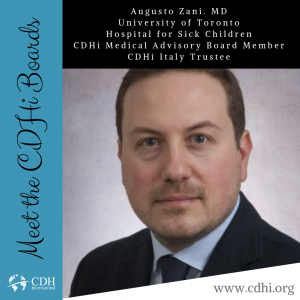 We are also starting new collaborations with several hospitals in Canada and Europe, are still working with the National Institutes of Health, are working with several European entities and are very active in the Rare Disease Community. 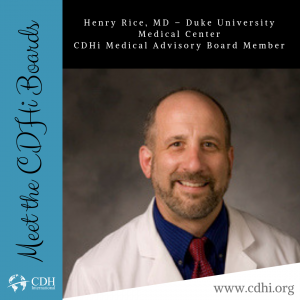 We continue to work on our own CDH Patient Registry, the largest natural history, patient led research registry of Congenital Diaphragmatic Hernia in the world with over 6400 cohorts. 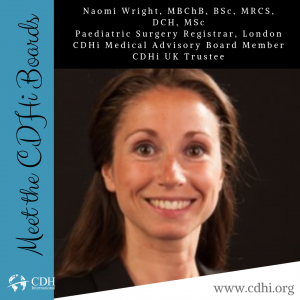 In 2019, we are pushing for global standards for CDH – minimal standards of care to help save babies in other countries to push insurance companies to cover more care for these children and set measurements to give us an accurate worldwide look at the mortality and morbidity for CDH for the first time ever. 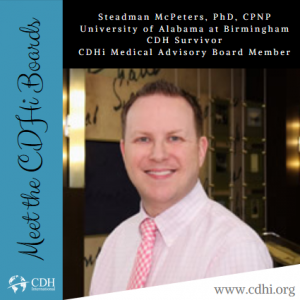 This will not inhibit the work of ground-breaking CDH researchers but support smaller facilities and those with less resources by giving them the tools and information needed to increase their survival rates. It will also open many new research door to have accurate survival and complication rates and to spotlight current research initiatives. 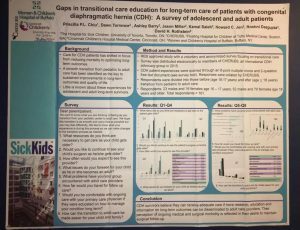 We are working with hospitals to research the long-term effects of CDH in survivors and ways to manage care past pediatrics and into adulthood. 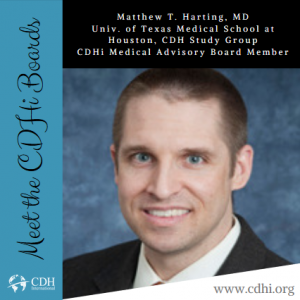 The CDH Research community has made huge strides in many areas in the management of Congenital Diaphragmatic Hernia, including several new advances within in utero care and surgical materials. We want to continue to support that work as well. 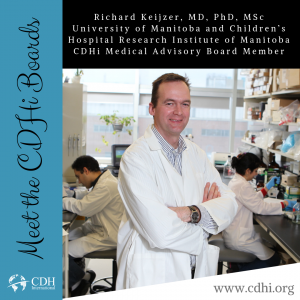 Our goal is to continue our work at CDH International but also to sponsor more research collaborations, fund research projects and gather more patients to participate in all research opportunities available. We are looking for partners to help further research. Corporations, organizations and patient families who believe in the cause and saving these children as much as we do. By working with CDH International, you can trust that we will get the job done. 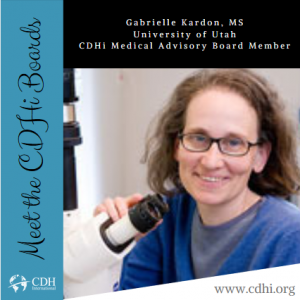 With 24 years experience, relationships with all stakeholders and in depth knowledge of the research and researchers of this devastating birth defect, we have proven our focus on defeating CDH on a global front. And we do so with integrity and respect for the entire patient community, bringing a level of patient advocacy to the table that no one else in the world can offer. Join us. Join us in this fight. Take on this little known cause, these 100’s of 1000’s of children and let’s set the world on fire for research for these kids. Directly help us to save the lives of these children. Thank you for supporting our cause and helping our children. 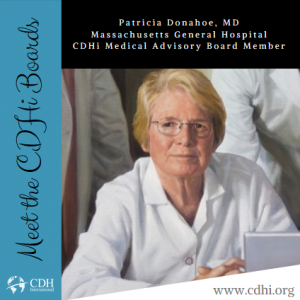 Follow the links above to be a part of this initiative or contact our President directly at dawn.ireland@cdhi.org if you would like to help on a larger scale. 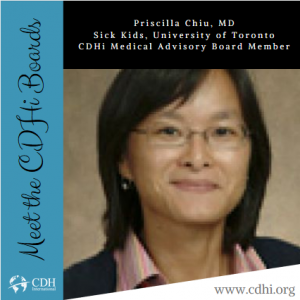 Download the latest CDHi Guide. 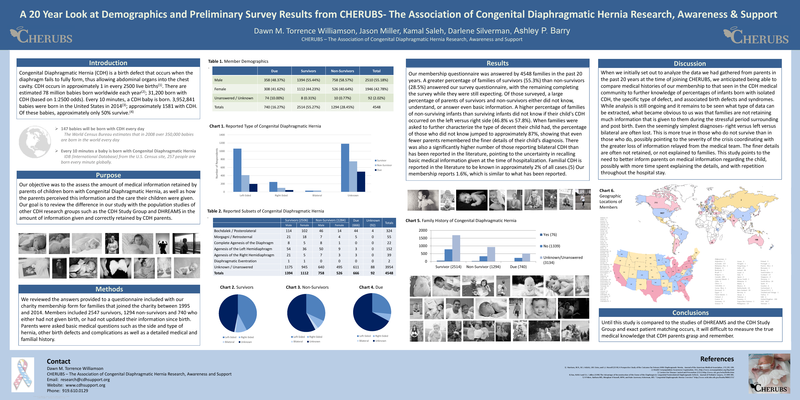 For over 20 years, CHERUBS worked with families to collect patient information to help further research on Congenital Diaphragmatic Hernia. Families can submit their data online privately via a HIPAA-compliant form. 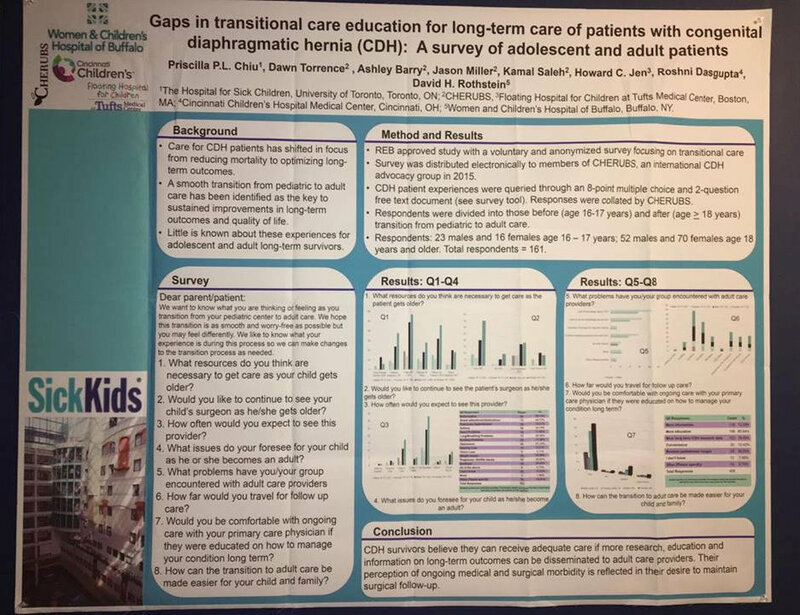 This information directly correlates with data submitted with the CDH Study Group and DHREAMS to help put together different pieces of the CDH puzzle. 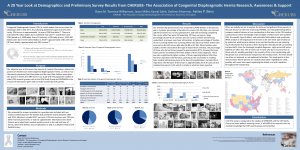 You can view this groundbreaking research study at www.cdhresearch.org. 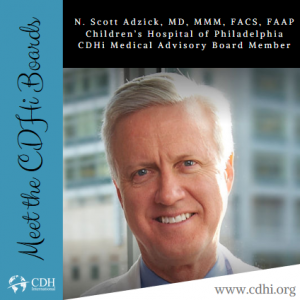 The CDHi Medical Advisory Board advises our organization on research matters, proofs publications for parents and will help to form the CDH Care Center Accreditation Committee as our research progresses. 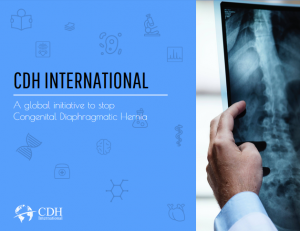 CDH International has given out a number of Congenital Diaphragmatic Hernia Research Grants to hospitals over the years. Grant application information will be posted here as funds are available. 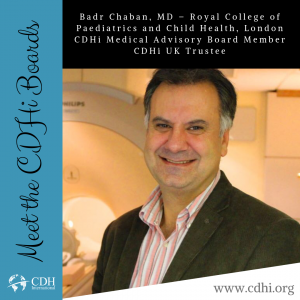 CDH International has submitted several research abstracts under the name CHERUBS in partnership with CDH hospitals. Full abstracts will published soon. 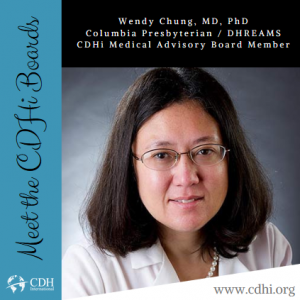 CHERUBS also has a comprehensive CDH Research Library that updates weekly.